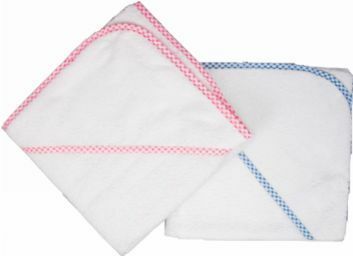 No new baby layette is complete without a hooded baby towel to keep them warm. Soft terry cloth keeps baby cozy while the hood protects and covers the head where the most heat escapes. Personalized with an embroidered name for free, our baby hooded towel will make bath time fun for both baby and Mom.